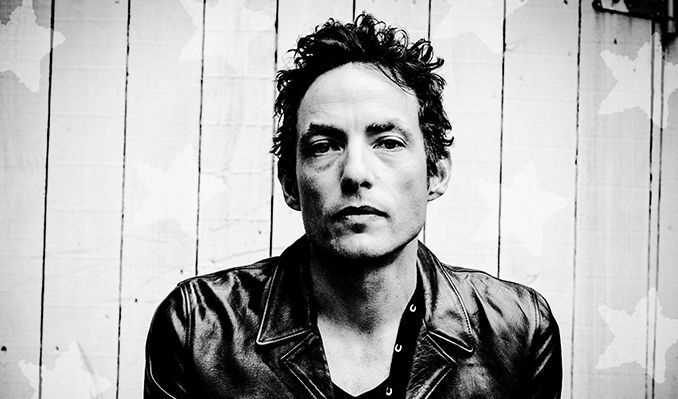 As part of the mid-'90s revival of roots-rock, the Wallflowers held a special connection to one of the original inspirations: vocalist/songwriter/guitarist Jakob Dylan. Though he is the son of a legend, Jakob's similarities to his father are occasional -- in fact, the Wallflowers are more influenced by Tom Petty & the Heartbreakers than original '60s folk-rock, though lyrically, Jakob remains a close companion to the original Dylan. Born in 1970, Jakob Dylan was raised in Los Angeles by his mother, Sara Lowndes, after his parents' divorce in 1977. He studied at private schools in L.A. and New York, and decided to follow in his father's footsteps by the late '80s. He formed the Wallflowers with guitarist Tobi Miller, keyboard player Rami Jaffee, bassist Barrie Maguire, and drummer Peter Yanowitz and signed to Virgin. Released in August 1992, the Wallflowers' self-titled debut album sold poorly, and Virgin soon dropped the band. Undaunted, Dylan assembled a new Wallflowers -- guitarist Michael Ward, bassist Greg Richling, and drummer Mario Calire -- keeping only Jaffee. The group signed to Interscope and recorded its second album with producer T-Bone Burnett, a longtime friend of the Dylan family. Bringing Down the Horse was released in May 1996, producing the alternative radio hit "6th Avenue Heartache." Late in 1996, the single "One Headlight" was released, and by the spring of 1997, it had become a Top Ten hit, pushing Bringing Down the Horse into the upper reaches of the charts, as well. Bringing Down the Horse was a big seller throughout 1997, thanks to "6th Avenue Heartache," "One Headlight," and "The Difference," the third single pulled from the record. Early in 1998, "One Headlight" won Grammys for Best Rock Song and Best Rock Performance by a Duo or Group With Vocal. Settling down from the rush of success, the Wallflowers rightfully took a long four-year break from recording. The new millennium sparked new creativity, and the Wallflowers returned in October 2000 to release the excellent Breach. The album went largely ignored, leading to the more mainstream Red Letter Days the following year. After a two-year hiatus the band returned with Rebel, Sweetheart in 2005. The album peaked at 40 on the Billboard charts and the group didn't support the record with an extensive tour. The Wallflowers split from Interscope in 2006 and the following year the group played shows without keyboardist Jaffee, who had left the band, signaling a steady decline in activity for the group. Jakob Dylan released his solo debut Seeing Things in 2008 but the Wallflowers stayed active, releasing a compilation called Collected: 1996-2005 in 2009 and supporting it with a tour. Dylan released another solo album, Women And Country, in 2010 and early in 2012 he announced the Wallflowers were returning to active status by recording a new album with a new lineup featuring a returning Jaffee, bassist Greg Richling, guitarist Stuart Mathis (who joined in the wake of Jaffee's departure in 2007), and drummer Jack Irons, who previously played with Pearl Jam and The Red Hot Chili Peppers. This reunited Wallflowers released Glad All Over in the fall of 2012.